England enters into 2018 with a fan-base in complete confusion. The past tells them that they should temper their expectations and simply hope for some knockout stage success. However, a qualifying campaign with zero losses and a striker on a scoring rampage in Harry Kane means that England should be a squad ready for success in Russia this summer. Perhaps the only team fully capable of crashing out at the group stage or catching fire and working towards an appearance in the final, England’s World Cup finish is almost as easy to predict as lottery ticket numbers. Are you a fan of the Three Lions? 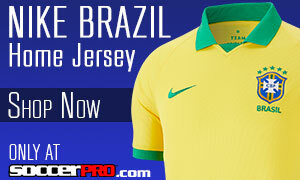 Find your England Jersey from SoccerPro before the cup starts! You can add the name of your favorite England star to the back of your jersey, from Alli to Sterling right onto Welbeck! While exiting the group stage would be a step further than what England experienced with 2014, The FA will expect nothing less than a quarter-final. Fully capable of making their way to the latest stages of the competition, the squad will need to play with freedom instead of playing simply to avoid disappointment. This England defense is a group comprised of only two players involved with the World Cup in 2014, but there’s an air of promise with this group that won’t have many fans shaking as opposition attackers push forward. During qualifying, Southgate seemed to prefer playing John Stones, Gary Cahill, Ryan Bertrand, and Kyle Walker. Bertrand has not been included in the 23 heading to Russia, and there are many that think that Cahill will be missing out of the starting 11. Despite some injuries and the occasional moment of calamity, John Stones will probably get the nod in the middle while many think Harry Maguire might nail down the spot next to Stones. Honestly, there’s not a huge difference between all of the central defenders for England. 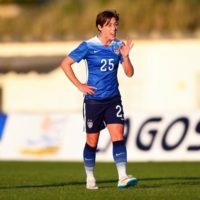 They are all are worthy fighters in the air, sound defensively, and have been instrumental for their club team but all four of them are somewhat known for their infrequent dabbling in the brain-dead style of defending. If the mistakes in the middle can be relatively few and can go unpunished, it could spell serious success for England. The further question will be what Coach Southgate does formational. Even though England has traditionally played with a back four, there have been strong signs that a back 3 might be the default option once the tournament starts. That would allow England utilize the cautious approach Gareth Southgate likes while also maintaining an ability to stretch the field without comprising the defensive numbers. Lining the wings for England will definitely be Kyle Walker and Danny Rose. Walker was incredible for Manchester City on the right side of defense this season, and Rose has long been seen as a defender with worlds of potential. Russia 2018 will definitely be Rose’s moment to announce himself as one of the best and could create a bit of grief for Tottenham to maintain a hold on one of their key pieces for the future. Ashley Young, Kevin Trippier, and Trent Alexander-Arnold will all probably find time on the substitutes bench, especially as Trippier is relatively new to the England squad and Alexander-Arnold’s inclusion raised many an eyebrow. If there’s a team at this tournament that’s entering the opening stages with chemistry already built in, it’s this England group. This could be all important as Rio Ferdinand recently made headlines proclaiming that England’s golden generation failed because of how much hatred existed between the clubs that England’s players played for during times of major tournaments. This doesn’t feel like an issue for England heading into this summer, and perhaps they’ll reap the benefits of that. We’d be quite surprised to see Alexander-Arnold make the starting squad, we’d expect Young to come on if Southgate is looking for more attack from the back and it wouldn’t surprise us to see him actually start, and whichever central defender doesn’t make the starting pairing will be that 80th minute sub we see when England is hoping to shut the gates for the last few moments of the game. Despite the biggest goalkeeper news being the exclusion of West Ham’s Joe Hart, England heads to Russia with three fairly young and quite dependable net minders. Jordan Pickford will probably be the man to take up the starting mantle (mainly as Pickford is seen as the superior keeper on the ball), but it wouldn’t be surprising to see one of the other options get a look in before the end of the tournament. All three keepers will be looking to utilize Russia to raise their transfer stock, and it wouldn’t be the least bit surprising to see one, two, or all three getting swiped up by different clubs before we hit August. Based off of Southgate’s qualifying squad, it would be tough to not think the manager will go with the preferred pairing of Eric Dier and Jordan Henderson sitting deep. Both are coming off of a great season with Liverpool and Tottenham, meaning they could and should enter into this tournament riding on a high. Both players are disciplined in their roles and will allow the attack in front of them the freedom to push forward while still feeling like the defense isn’t being exposed. Dier and Henderson are both capable of chipping in with the occasional goal, but Dier is a bit of a yellow card magnet. It wouldn’t be surprising to see Dier miss one of the group stage games through yellow card accumulation, but in Fabian Delph and Ruben Loftus-Cheek, England will certainly have decent cover if the Tottenham man has to miss a match. Ahead of the two central defensive midfielders, despite being a bit of an enigma, Liverpool’s Oxlade-Chamberlain might be a big miss in England’s midfield. Towards the end of the season, the Ox became a dependable cog in the Liverpool attack and seemed like an easy starter for the upcoming World Cup. However, a late season injury means that England will have one less attacking option in the middle of the field. Luckily, this is an area where the Three Lions actually have some depth heading into Russia. Raheem Sterling, Jesse Lingard, and Dele Alli have all shown goal scoring chops throughout the last Premier League season, and England might launch their campaign with all three sitting behind Harry Kane in a 4-2-3-1. Expect to see Dele Alli relied on as the central creative clog for this English unit. It would certainly be a fun group to watch, and definitely a formation that could be tweaked for either added cover in the back or extra attack (Delph coming in for more defensive cover, Loftus-Cheek coming in for more defense or added up top for more attack, and maybe even sacrificing a midfielder for another striker). Look for Alli and Kane to play through the middle, with Southgate attempting to take full advantage of the two Spurs teammates and their ability to play together. Sterling spent some time for Manchester City on the wings, but he also found himself playing as a false 9 on occasion or as the auxiliary striker so look for him to have a flexible role in the England attack and trouble teams with his direct running into the box. Lingard could continue his announcement onto the biggest stage during the tournament in Russia, but it wouldn’t be surprising to see him as the first player sacrificed if Southgate wants to start changing things up later on in the game. If we’re choosing the 11 today, Alli plays through the middle, Sterling comes off the right wing, and Lingard plays off the left (with Sterling and Lingard interchanging). There’s zero doubt that the first name on the team sheet heading into Russia will be Harry Kane. A player who has continued to make a mockery of pundits that claimed his breakout season was a flash in the pan. It’s tough to claim that England has ever been en route to a major tournament with a player that’s been on this type of run, he has a genuine claim to being the best #9 in the game today. The biggest fear will be if Kane hasn’t quite overcome the yips that seemed to overtake him while playing in the European Championships, but being selected as captain and two more years under his belt has many convinced that the moment will not be too much for the Tottenham striker to handle. If Kane isn’t getting the job done or if Southgate wants someone that will simply run for years and harry defenders at every turn, Jamie Vardy will hope that his one World Cup shot is met with a few chances on the pitch. Perhaps one of the most underrated stories at the Russian World Cup, Vardy bagging a goal or two would simply be the cherry on top of the multitude of cherries that already adorn Vardy’s “cake.” It would surprise me if Kane was ever taken off for a direct swap, but Vardy and Kane on the same field would only be something we’d see if Vardy comes off the bench. In terms of Marcus Rashford and Danny Welbeck, Rashford feels like the perfect option to throw into the fray when a goal in the last half hour is needed. The young Red Devil would fit in perfectly as a replacement for whether Sterling/Alli/Lingard has been on the pitch, and Rashford continues to show that he is the future while still being a serious talent in the present. For Danny Welbeck, the inclusion is actually a bit of a surprise as he didn’t have a fantastic season with Arsenal and a has had few injury issues but he is the highest scoring player in the squad and could figure more prominently than one would expect. *Keys to Tunisia Game: Once again, there’s always the potential that the pressure of the moment gets to the England squad. However, this group feels like one of the few ready to shirk those old habits and prove that they’re different from the Three Lions squads of old. I look for England to try and completely overrun Tunisia and pad their goal differential. Much like Panama, this fixture could be a springboard for success in Russia, and it would also go a long way to ease the tension that England seems to always deal with at these tournaments. *Keys to Panama Game: If England can avoid giving away dangerous free-kicks, then I think that they can actually ease their way out of the group with relative ease. England’s pace and attacking threats should prove too much for Panama, but if there’s ever a squad prepared to lay an egg at the biggest stage, it’s England. Look for Raheem Sterling and the other free-flowing threats to exploit space and be Panama’s undoing. Despite CONCACAF being a decent qualifying group, Panama will not be used to a team with threats coming from so many directions. If England win this game comfortably, people will start to talk about the Three Lions making a deep run and this type of fixture is exactly the type of game where England would have stumbled in the past. *Keys to Belgium Game: This game has potential to fall either as the most entertaining game of the entirety of the World Cup OR the most boring. These two teams are painfully familiar with each other as Belgium’s squad boasts an impressive number of Premier League stars, while the England squad consists entirely of Premier League stars. This translates to the attackers having serious knowledge of the defense and the defense having spent lots of time defending the opposition attackers. If nobody scores before halftime, I’d expect this to end nil-nil, but I never like to predict zero-zero affairs. We’ll say that the Tottenham portion of the England squad takes advantage of the Tottenham portion of the Belgium squad to kick things off, but KDB and Hazard have the last laugh. Piece by Andrew McCole, frequent Center Circle writer, boot prince, and never walking alone at Liverpool FC.